-PJ- wrote: Not as good as us though dub..am I rite ?? But hey that Bears side back in the late 80s early 90s were just damn unlucky to come across a rampant Raiders going through a magical era..
Larsen, Fairleigh, Moore, Taylor, Flo, Maurijuana, Seers, Soden. They had a very talented side...but..who remembers who came 2nd ? I didn't forget JMartin and I have that on cassette..
How does that musical masterpiece hold up today? 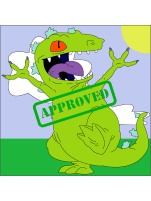 reptar, when I see you're on line...I've got to play. How you been today ? -PJ- wrote: reptar, when I see you're on line...I've got to play. Tired, mate, tired. I need a holiday! How you been? Well. I've just woken up a little seedy. A couple of Panadol rapid followed by a big breakfast of bacon & eggs and I'll be 100% very soon. I've got a game of footy to sit through later and will need brain numbing refreshments..again !!! I find watching the Raiders intoxicated makes it easier.. Sometimes I need to check and check again that it really happened.